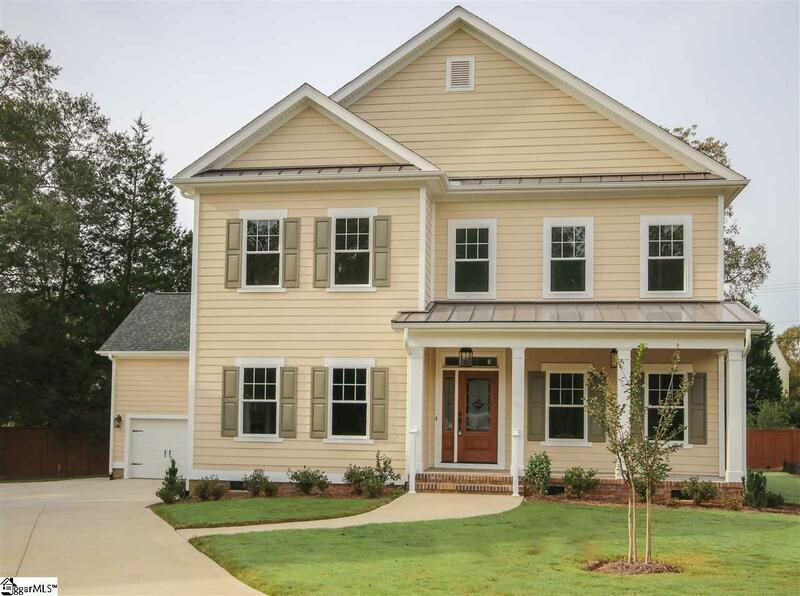 5 BR/4 BA NEW CONSTRUCTION IN THE SOUGHT AFTER CHARLESTON WALK / CUL-DE-SAC LOT / HARDWOODS AND CROWN MOLDING THROUGHOUT / MASTER AND GUEST BEDROOM ON MAIN / STAINLESS STEEL APPLIANCES / GRANITE COUNTERTOPS / RECESSED LIGHTING / LARGE BONUS ROOM UPSTAIRS W/ WALK-IN ATTIC STORAGE / LAWN MAINTENANCE PROVIDED. 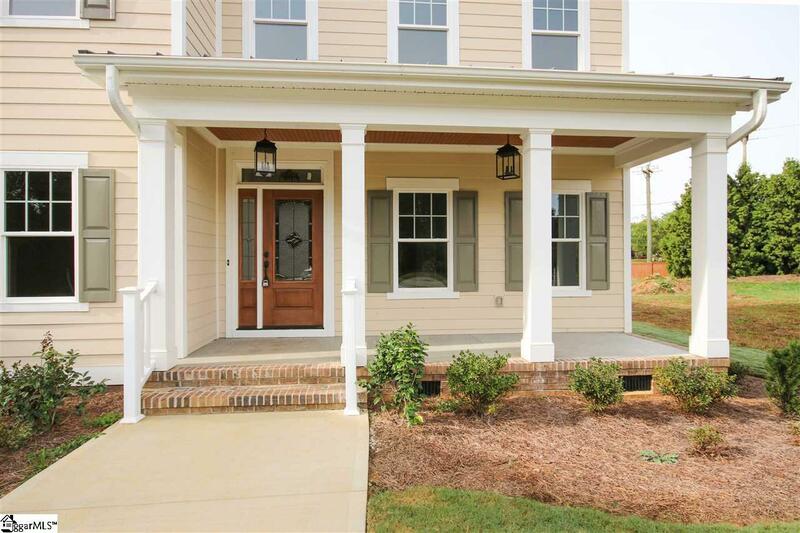 A large front porch is welcoming as you enter this newly-built home through the front leaded glass door with transom window. 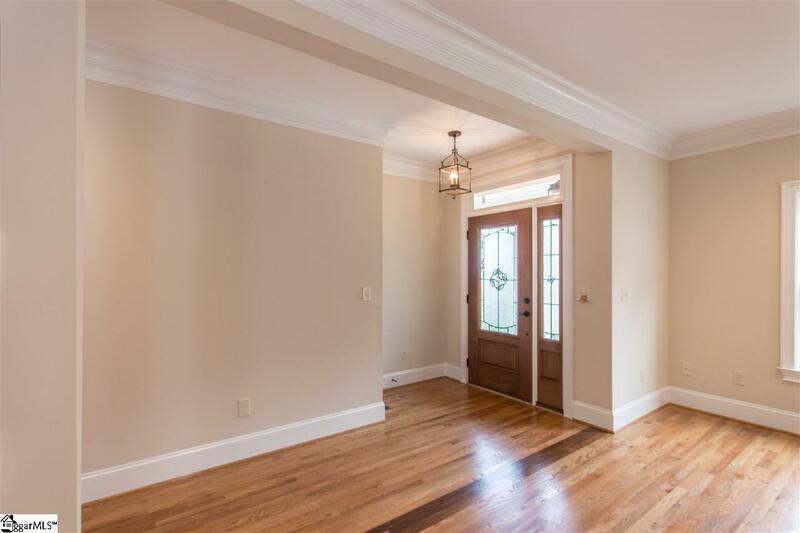 Hardwood floors and 9 ceilings begin in the Foyer and flow throughout the home. The Great Room is a focal point of this open floor plan that showcases heavy crown molding, recessed lighting, ceiling fan and tile-surrounding fireplace. The large Kitchen will be a home chefs oasis as it features granite countertops, soft-close cabinets, stainless steel Frigidaire appliances, under cabinet lighting, tile backsplash and a center island with a breakfast bar, sink and dishwasher. The home offers an abundance of closet space along with a walk-in pantry with shelving. Off of the kitchen sits the Master Suite that is introduced through French doors and boasts hardwood floors, crown molding, ceiling fan, recessed lighting and large walk-in closet. The spa-like Master Bath features tile floor, granite countertops, his & hers vanities with picture frame mirrors, tiled shower with rain shower head, soaking tub and leaded glass window. A pocket door opens to the Laundry Room that provides a linen closet and utility sink. A private Guest Bedroom sits at the front of the house and presents French doors, plush neutral carpet, lighted ceiling fan and sliding closet doors. The downstairs also offers a full Bathroom with cultured marble dual vanity and picture frame mirrors, tile flooring, shower/tub combo and recessed lighting. Following the hardwood staircase, you will find three more bedrooms featuring plush neutral carpet, lighted ceiling fans, crown molding and large closets. You will also find two additional full Bathrooms that display cultured marble countertops, tile flooring and picture frame mirrors. A large Bonus Room is a relaxing getaway for the second floor with vaulted ceilings, recessed lighting and walk-in attic access. 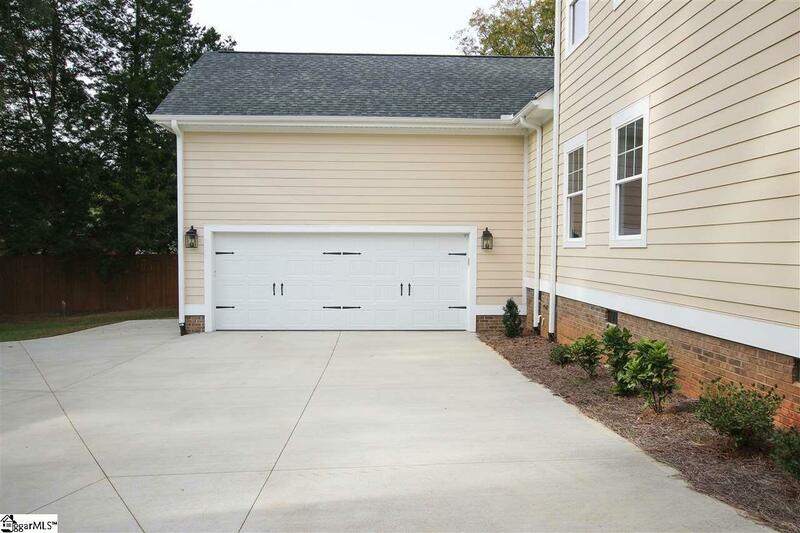 The large patio will allow you to enjoy the backyard because you will not be spending time on yard maintenance; Charleston walk provides lawn care year around. Dont miss this cul-de-sac lot home in a sought after location!